Home » Blogs » Has Revenue Risen in 2018? The Wall Street Journal editorial board claimed on Saturday that "Tax Revenues Are Higher," citing a Congressional Budget Office (CBO) report that individual income tax receipts have increased by 7.9 percent since the same time last year. The suggestion of the piece is that despite massive tax cuts, revenue continues to rise. In reality, revenue has fallen since the enactment of the tax cuts. 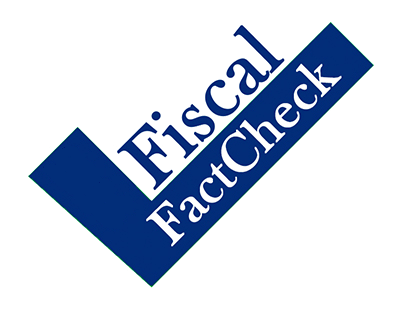 While individual income tax receipts have increased in nominal dollars since last fiscal year, this statistic paints a misleading picture in a number of ways. Specifically, it ignores reductions in other sources of revenue, doesn't account for inflation, and relies in part on revenue raised by last year's tax code. Considering the entire tax code and focusing specifically on this tax year shows that total revenue has declined between 4 and 9 percent. Whereas individual income tax revenue has risen by 7.9 percent in the first ten months of fiscal year 2018 compared to the first ten months of fiscal year 2017, corporate tax revenue has fallen by over 28 percent. In total, nominal revenue has increased by only 1 percent – well below the rate of inflation. Nominal increases below the rate of inflation mean that the value of revenue collection has actually declined in real terms. By our estimate, total revenue over the time period in question has actually fallen by 1.3 percent after accounting for inflation in the last year. Measured relative to GDP – a sensible way to measure since a steady tax system would be expected to capture the same share of the economy year-after-year – we estimate revenue has fallen 3.8 percent. Finally, relative to the increases that had been expected from population growth, inflation, wage growth, structural elements of the tax code, and other factors, tax revenue is down by roughly 5.5 percent. Yet even these numbers understate revenue losses between 2017 and 2018, since they count revenue raised in 2018 but under 2017's pre-tax cut laws. Roughly three-quarters of the increase in nominal individual income tax revenue since 2017 is the result of non-withheld tax payments made in April (and March) to cover last year's taxes. Another quarter of the rise is from revenue in October, November, and December of 2017 – months which are part of fiscal year 2018 but were under the old tax code. In other words, revenue has dropped substantially post-tax reform. The Wall Street Journal editorial board argues that because nominal revenue is rising, rising deficits are solely the result of spending. While we certainly agree on the need to control spending, it is hard to argue revenue is rising except in a very narrow sense. By any measure that takes into account the entire tax code after the tax bill, it is clear revenue has fallen significantly – especially in real dollars or as a share of the economy. Likely, lawmakers will need a mixture of revenue and spending reforms to reduce future deficits to sustainable levels. *Nominal revenue in May, June, and July totaled $759 billion this year compared to $811 billion last year, a 6.5% drop. Figures in this piece differ slightly from a previous tweetstorm by CRFB Senior Vice President Marc Goldwein due to the usage of updated economic projections released this week by the Congressional Budget Office.